PLEASE DON’T read this book if you haven’t read Over A Spitfire! It is a little something extra for readers of Over A Spitfire. New readers need to read that first before this sequel otherwise it will spoil it. During the writing of Over A Spitfire I wanted to have my reincarnated character trace their family from their past life but I felt it would have made the story too complex and I didn’t know where it would fit in. Several weeks after publication I was watching a TV programme about reincarnation and the people in it had done just that! From there the idea for this sequel was born. It is fairly short, a novella, only 70+ pages, so it will be a quick, easy read. As the opening paragraph of this post says it is a little something extra as the low price reflects. 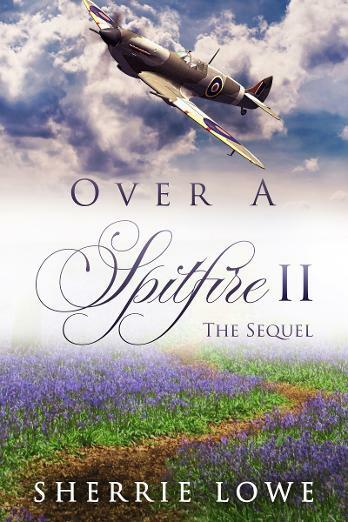 I hope all readers of Over A Spitfire find this as – if they’d enjoyed the story – I’d like them to go with the character that I hope they’d been able to relate to, and find their previous family, giving them an element of closure.